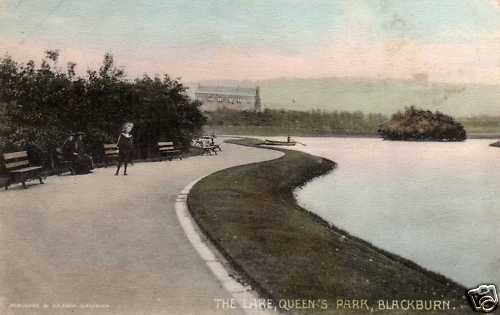 Another Edwardian scene, this time in Queens Park. This view is looking towards the hill where Shadsworth Road cuts across towards Haslingden Road. The terrace of four - six houses in the centre of the picture, is still there, although other properties have been built beside them and around them, over the years.